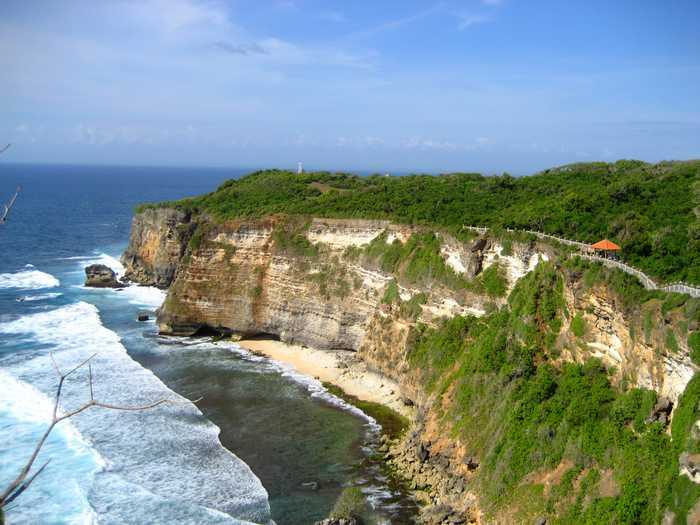 Uluwatu is a beach with high cliffs on the seafront. 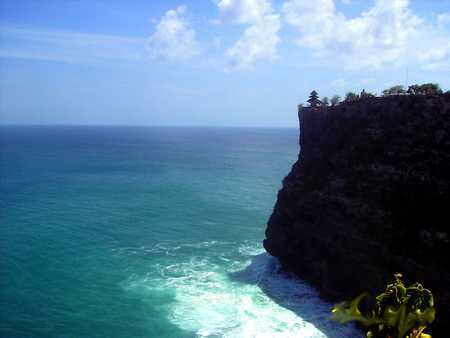 Uluwatu became famous because there is a temple located at the edge of the cliff at the edge of the sea. Very beautiful temple in the afternoon, at sunset. Spectacular views, lovely, and admirable. Temple at the end of the cliff was named Uluwatu Temple. The cliffs at Uluwatu is very high. Being on the edge of the vast sea. If we stand on the edge of the cliff at Uluwatu, was very stressful. A strong wind blows, adding to the tension if we stand on the edge of the cliff. 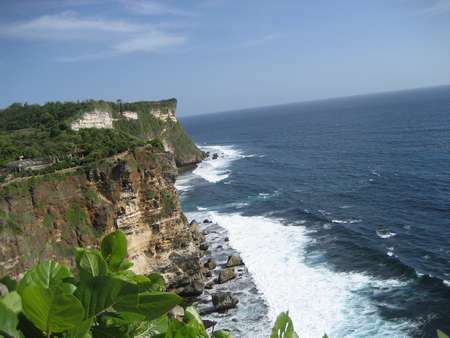 However, the condition can be ignored by the natural beauty around the Uluwatu. 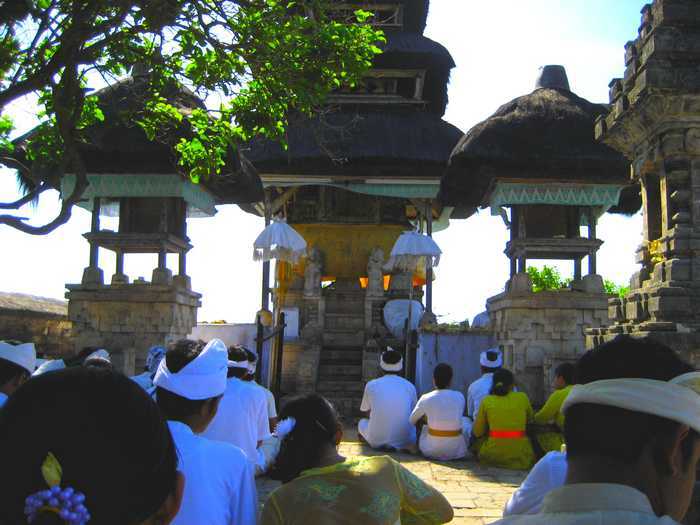 If you went to Uluwatu, and headed to the Uluwatu Temple area, you should head to the east temple. Because we'll see clusters of beautiful cliff by the sea. It is better to come to Uluwatu during the afternoon. In every path on the edge of the cliff at Uluwatu, has been in fence with low wall. So we will be safe to walk on the edge of cliff of Uluwatu. Without the need to feel anxious about falling down. Low wall at chest level, which still can be used to lean, if we occasionally want to look down to see the basis of a very high cliff. In the middle of walkways provide shelter, in case it rains, or just to rest. Can also be used as a place to relax while waiting for the afternoon, to see the beautiful sunset at Uluwatu. During the afternoon at Uluwatu, we can see the sunset in the west. Very beautiful. And more beautiful when viewed from the east on the Uluwatu Temple. The sunset will look as if it is hidden behind the temple which is located at the end of a high cliff. Remember back before dinner if you are in the area at Uluwatu. Because on the way home you are going through a lonely road and boring.